I have put myself on a fabric diet. 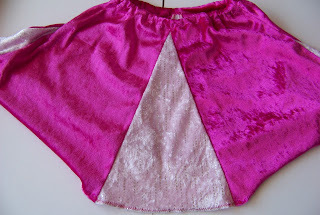 I will not buy any more fabric until I have used up a substantial part of my stash. It's not that I regularily spent lots of money of fabrics, but I frequently pig out on remnants, because at 2m a metre, who can say no. Well, my bedroom reflects that inability to say no. It seems like there is fabric EVERYWHERE. There are also clothes that need to be altered and a crochet blanket that needs the ends to be stitched in and some yarn for another two scarfs and so on. In short it is a mess and that is actually more depressing then inspiring to sew. How cute. This is an adorable 'dress up' for her. She's just too stylishly adorable and gorgeous in those colors! The costumes and outfits that are "handmade" outlast those that are store bought. 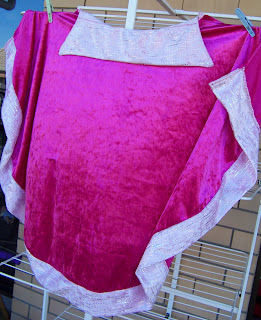 I've thrown away some Disney licensed "Princess" costumes that were given to my daughter as gifts. The ones that do last are surprisingly the ones (despite with all their imperfections) that I sewed over the years using all types of materials: slippery, furry, and those that frayed easily. 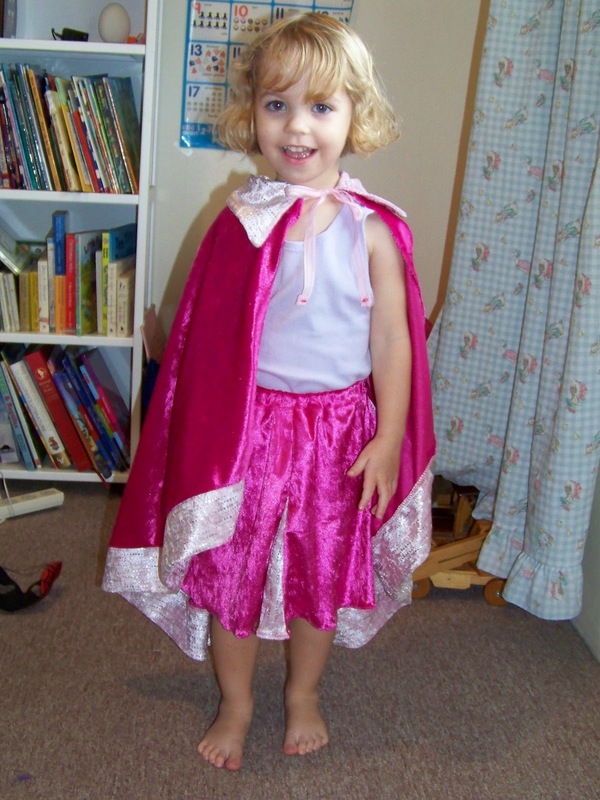 The costumes that you make for your daughter will be treasured souvenirs.